I wanted to let you know that Jet (FWF Prince Roac the Raven) had a good start to his career in dressage. Although we only made it to 4 shows this summer, he was a star and took it all in stride despite his young age (he's 4 this year). 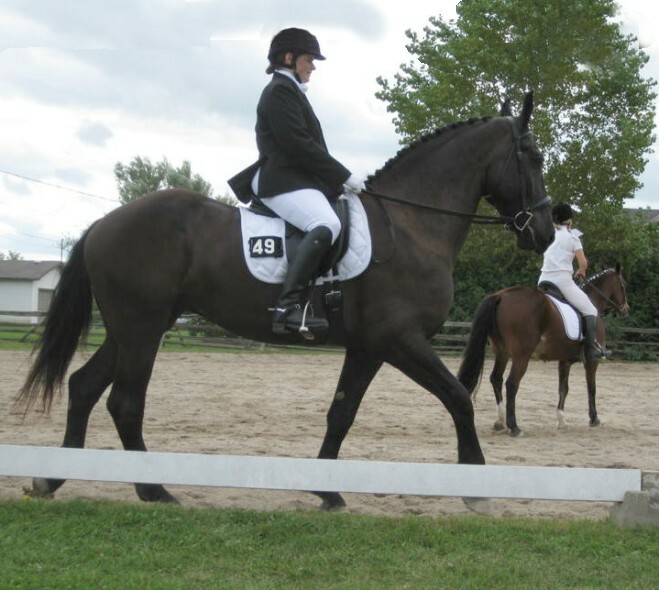 We competed at the bronze-level local dressage shows which was a nice laid back way to get him used to the show world. We ended the season at the Bronze Championships and managed to earn the title of Reserve Champion in the Walk-trot division! I was so pleased with him and pleasantly surprised at earning that title. 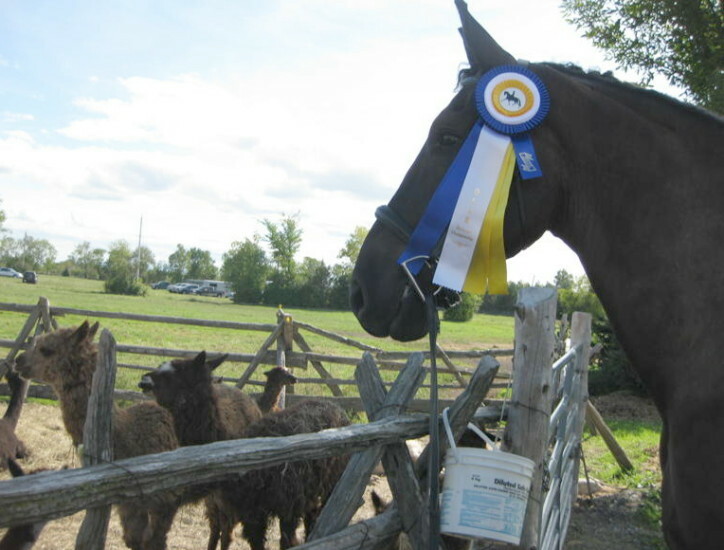 I've attached a picture of him with his winning ribbon (while gazing at some alpacas that the farm owned! ), and one of me warming him up at that show. Also, he's now registered with the Performance Horse Registry. I intend to register him with the Friesian Sporthorse Registry but just haven't gotten around to it yet.